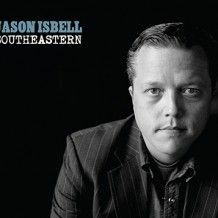 Chapter 5 of the Big Book of Alcoholics Anonymous tells the reader that, for the true alcoholics, “half measures availed us nothing,” which is appropriate, both when considering the creative context of Jason Isbell’s fourth solo record Southeastern, and considering Isbell’s career in general. The babyfaced Alabamian made his bones in his 20’s, burning to shine in the Drive-By Truckers, and it’s not even arguable that he anchored the three albums of theirs to which he contributed; “Danko/Manual” and “Decoration Day” alone would ensure that, let alone every other stellar cut, with that unmistakeable voice cutting through the smoke. But Isbell left that group before I was lucky enough to see them, and on Isbell’s subsequent three records I only paid passing attention to song here, a song there; I was a Truckers man in those years, and while through the privilege of writing for this fine publication I got around to checking out Patterson Hood’s latest solo set, following Isbell’s career was backburnered for me, until the morning I put on Southeastern, winding on the train across gloomy Brooklyn, and I was suddenly yanked out of myself, and thought: what is this?! I can’t say that Isbell’s previous three records were half measures, but not a one sounds as clear-eyes-full-hearts as Southeastern, and that’s likely due in large part to Isbell’s recent sobriety and remarriage (his new wife Amanda Shires sings harmony and provides fiddle across the album). When he did a French exit from the Truckers and his marriage to the band’s also-now-former bassist Shonna Tucker, Isbell’s heat got the better of him, “damn near strangled by my appetites” as he puts in “Travelling Alone,” “fighting second gear/for fifteen miles or so.” At age 34, these are his wisest songs, and equal just as much to anything in his insanely fine back catalog. But don’t be looking for a song suite about contentment and O’Douls; Isbell’s lost zero attraction to the darkness, and with new clarity Isbell renders the grimmest scene in these lyrics so beautifully that they left me tearing up, I’m not ashamed to say. They’re emotional rabbit punches that Isbell throws with such honesty it’s unsettling to the bone. Relentless cancer is “Elephant”’s title character, ignored, eating the song’s hard-drinking subject alive, she refusing to confront what the narrator knows for sure, that “nobody dies with dignity”. “Live Oak”’s serial killer’s finds a true love that he ultimately murders and buries “so deep she touched the water table line.” Isbell shied away from embodying his own darkness when he got sober, but embraced it as one must to accept that which you can’t change, which I wager is what accounts for the greater ease in his writing, and the relaxed tone of Southeastern. “Super 8” turns up the volume a little, but the rest of the record’s midrange is stripped-down alt-country arrangements; not exactly a problem, as Isbell’s previous records were plenty adventurous musically but proportionally spottier, whereas this one mines greater depth out of sparse acoustics and Shires’ fiddle, so Isbell’s tenor can shine out clear and strong. From what I know, every sober day requires a cliff-jump gamble that the next waking hours will be better and produce a finer outcome without that first drink, that first snort, and if Southeastern is what happens after Isbell’s gamble I can’t see it as anything less than a member of that rare species, the American second act. It’s one big silver lining wrapped around a flawed, fascinating, shockingly talented cloud. The last song, “Relatively Easy,” will make your day better. Hell, why aren’t you listening now? Go. I’ll wait so we can talk about it after. Trust me.